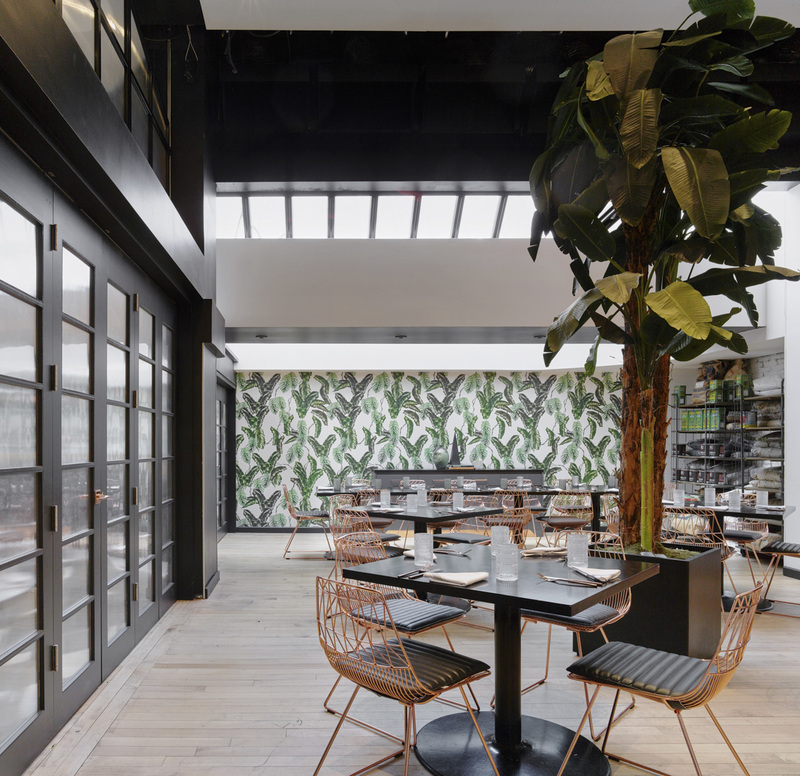 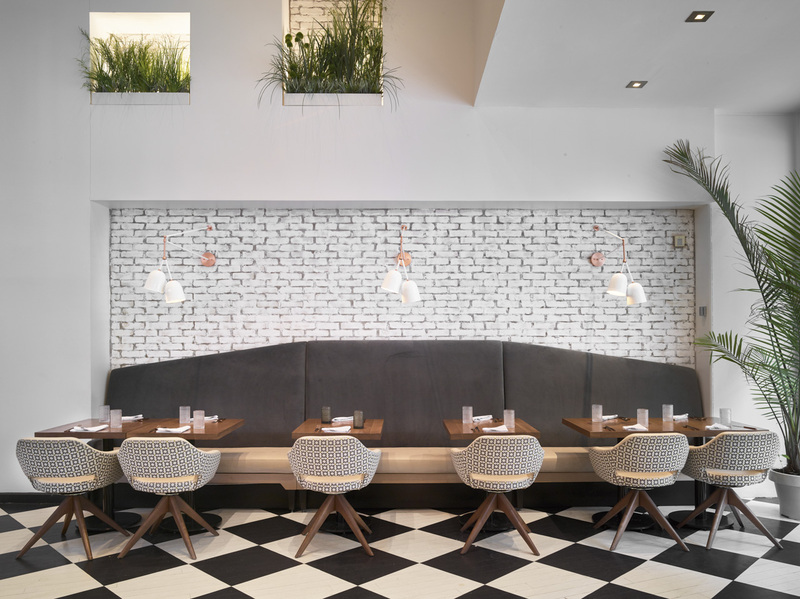 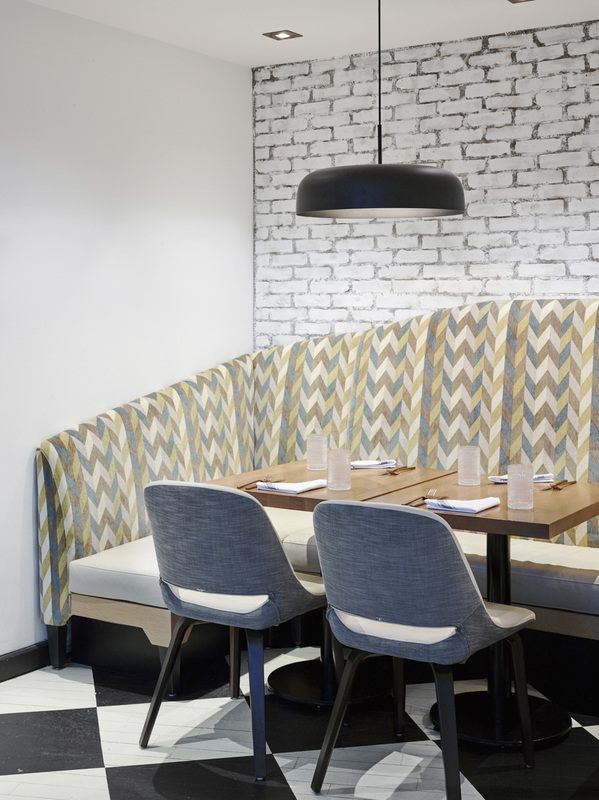 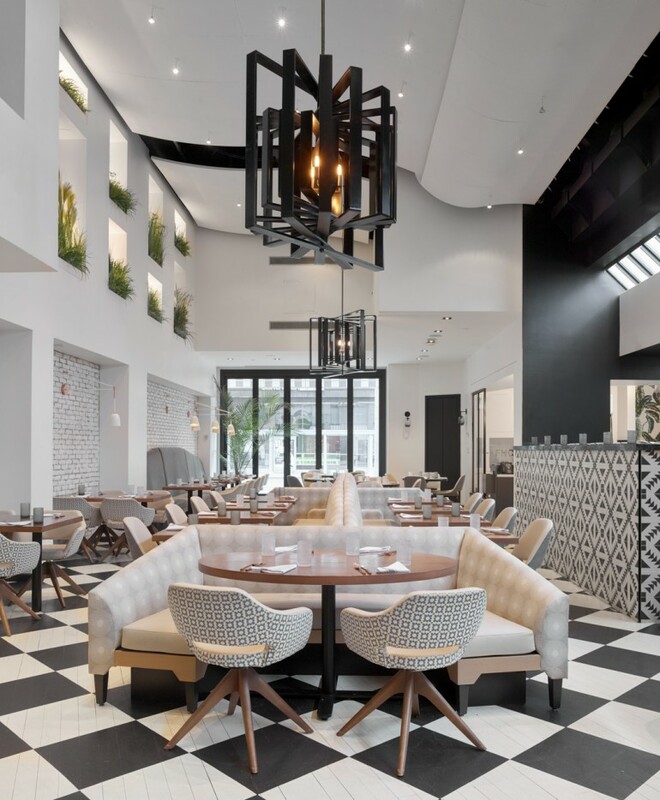 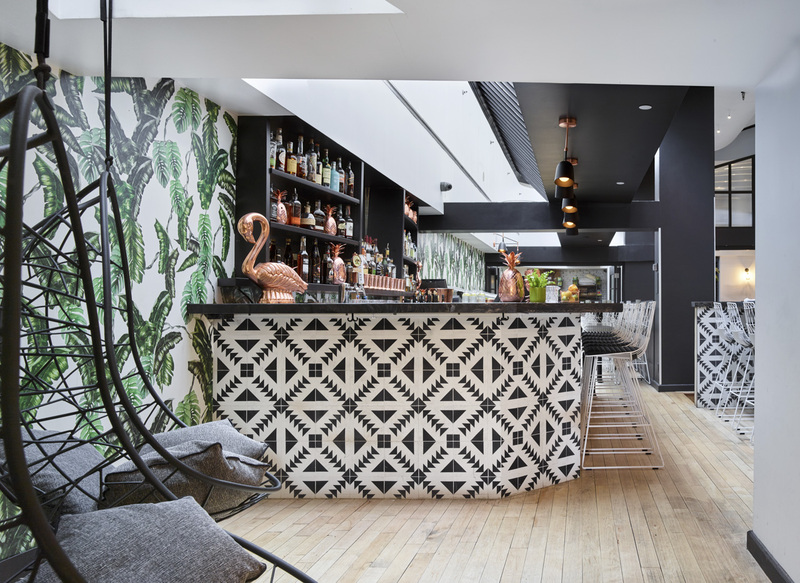 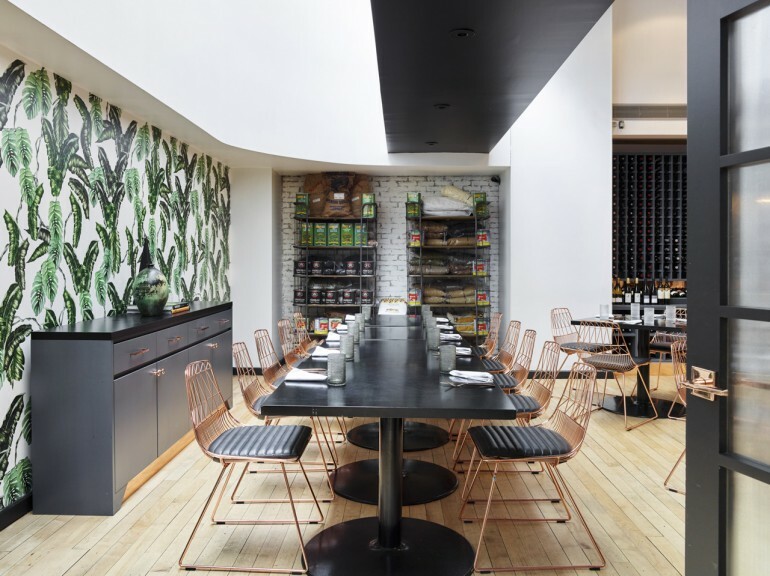 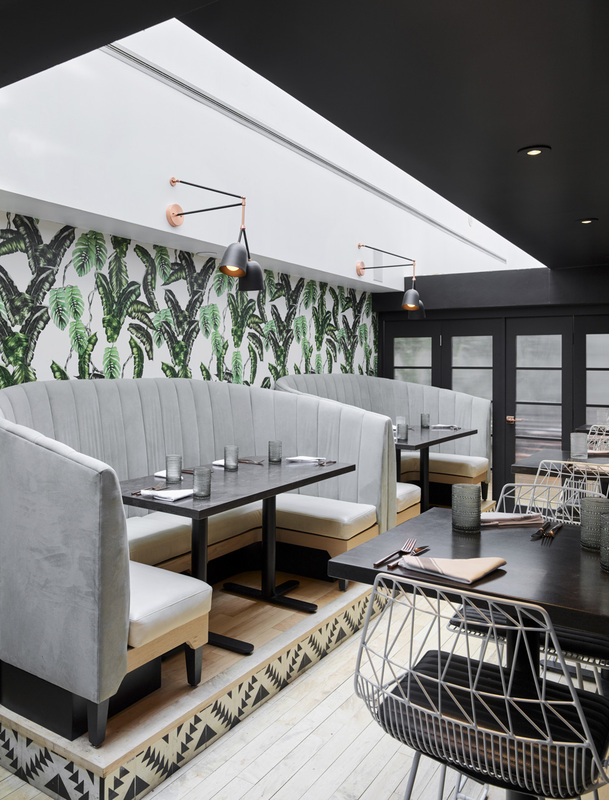 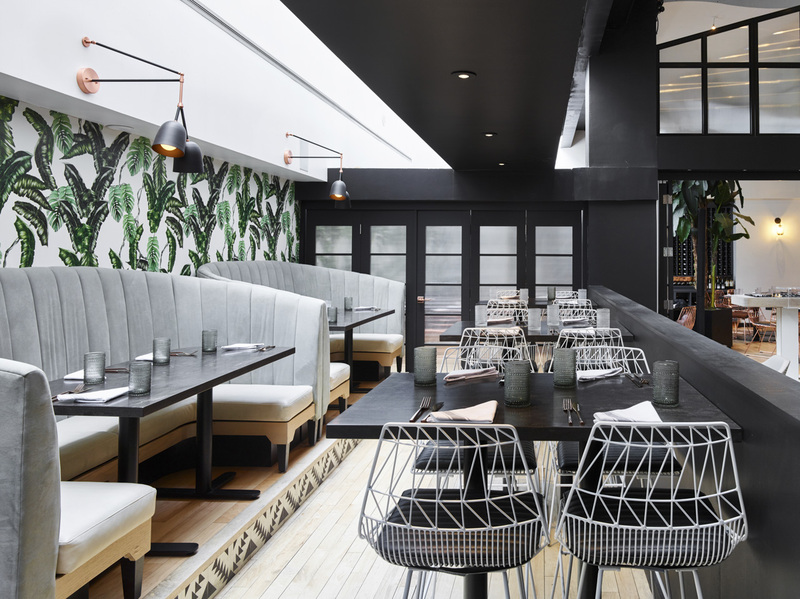 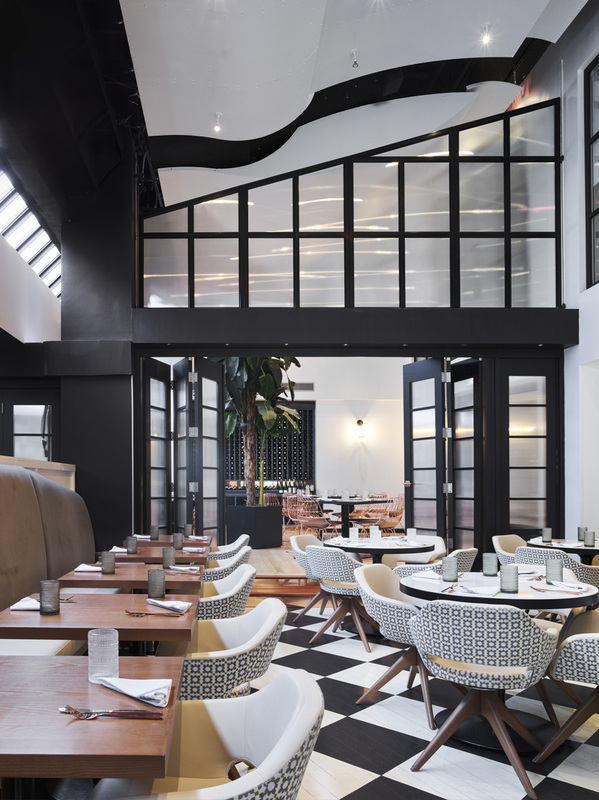 Kilbarry Hill completed the renovation of this eclectic Yorkville restaurant in July, 2016. 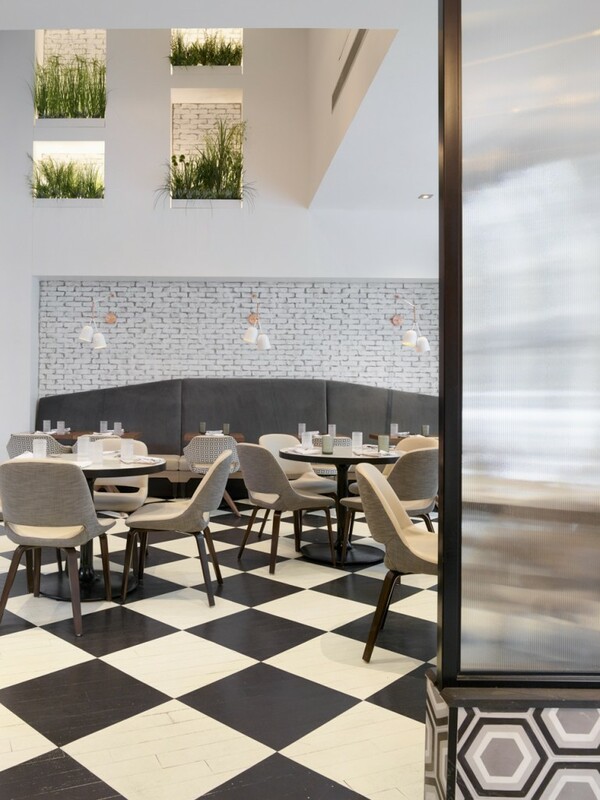 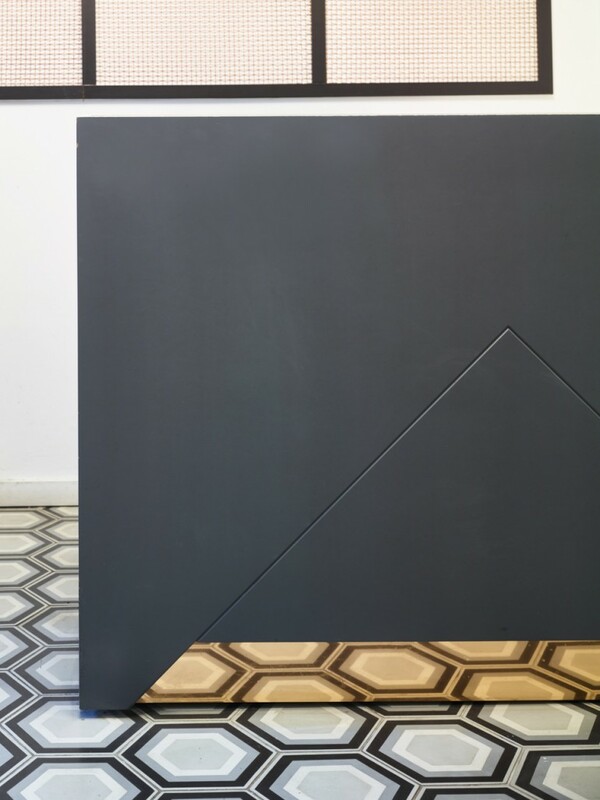 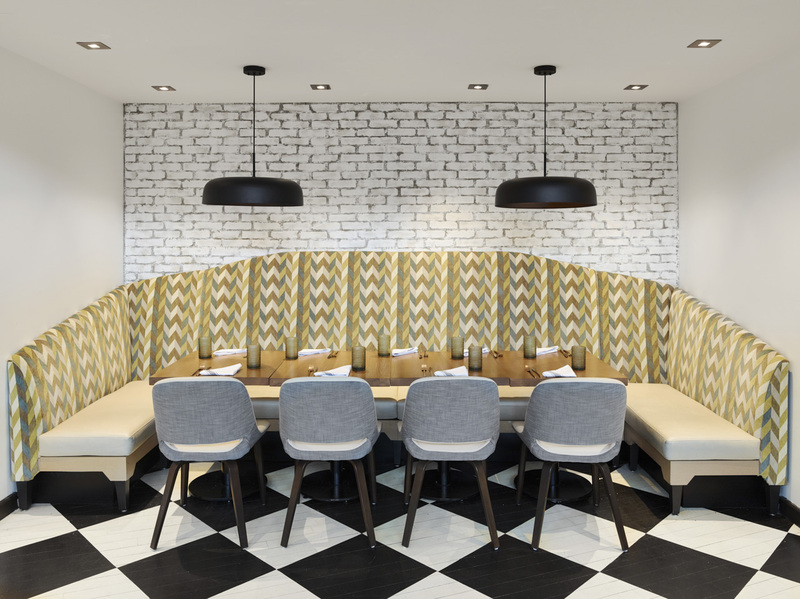 Designed by East Studio and constructed for the Chase Hospitality Group, the features of the space mirror the vegan inspired cuisine. 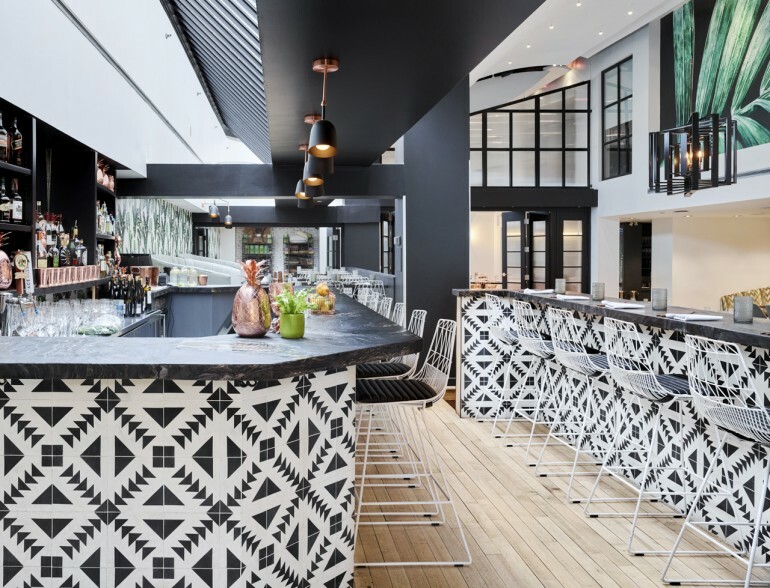 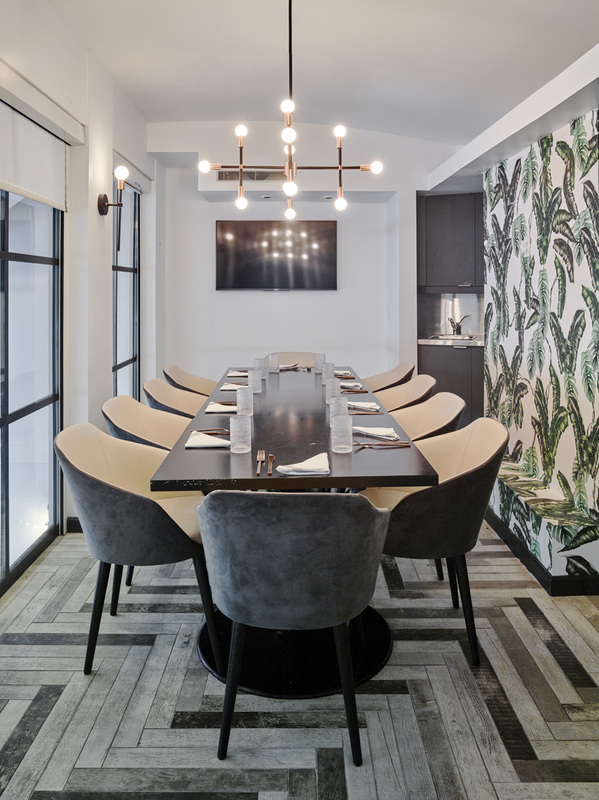 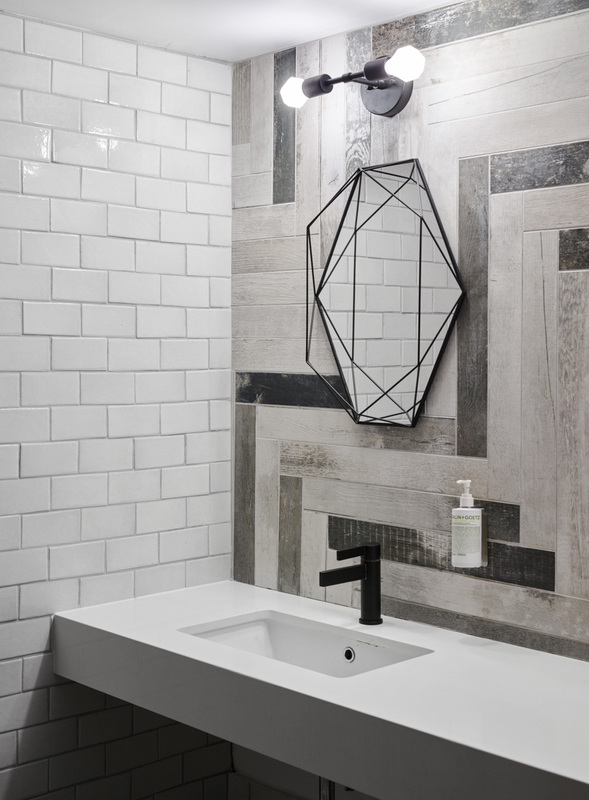 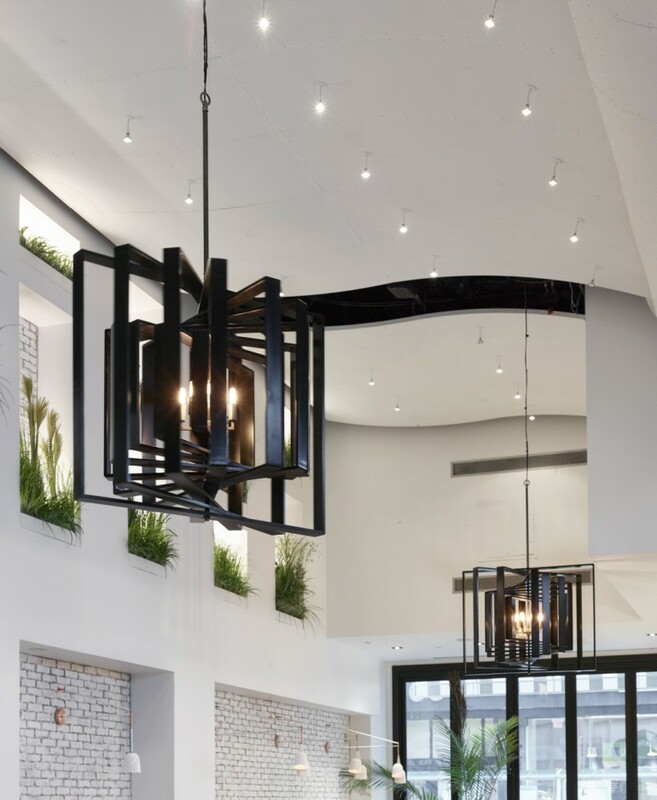 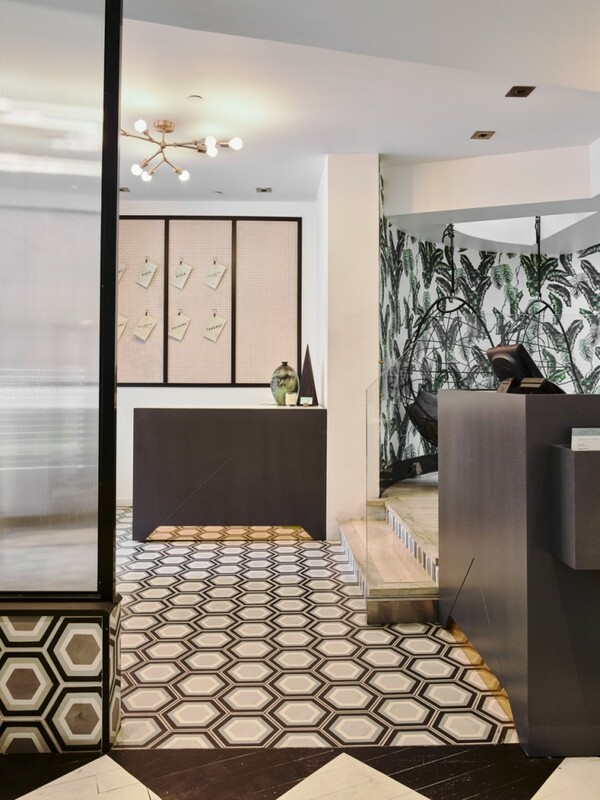 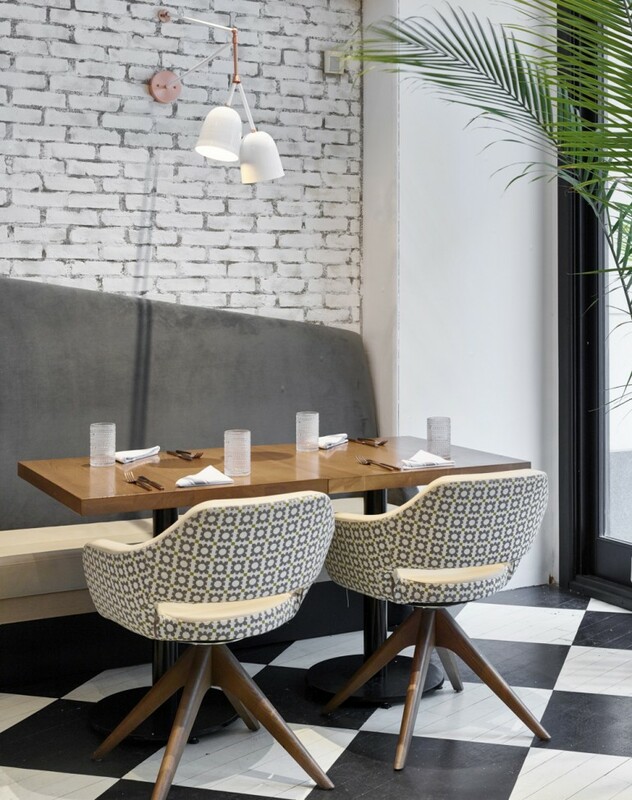 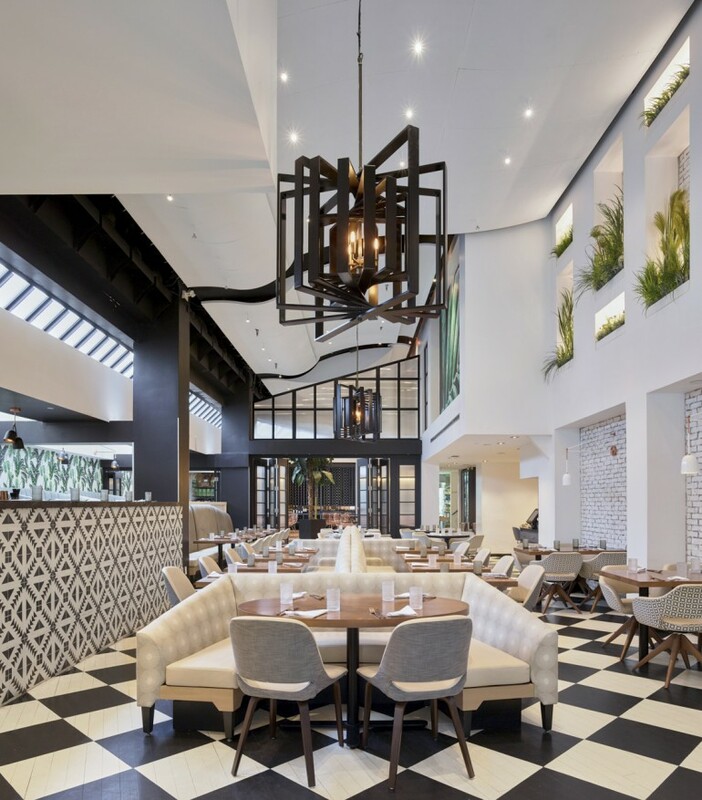 Highlights of the space include all new custom light fixtures, a custom plant wall, refinished painted pattern floors, a cement tile foyer and bar, custom floral wallpaper, white wash oak banquettes, custom ribbed glass partitions, and century architecture brick veneer.